Clearance(mm): 37 Horz. x 17 Vert. 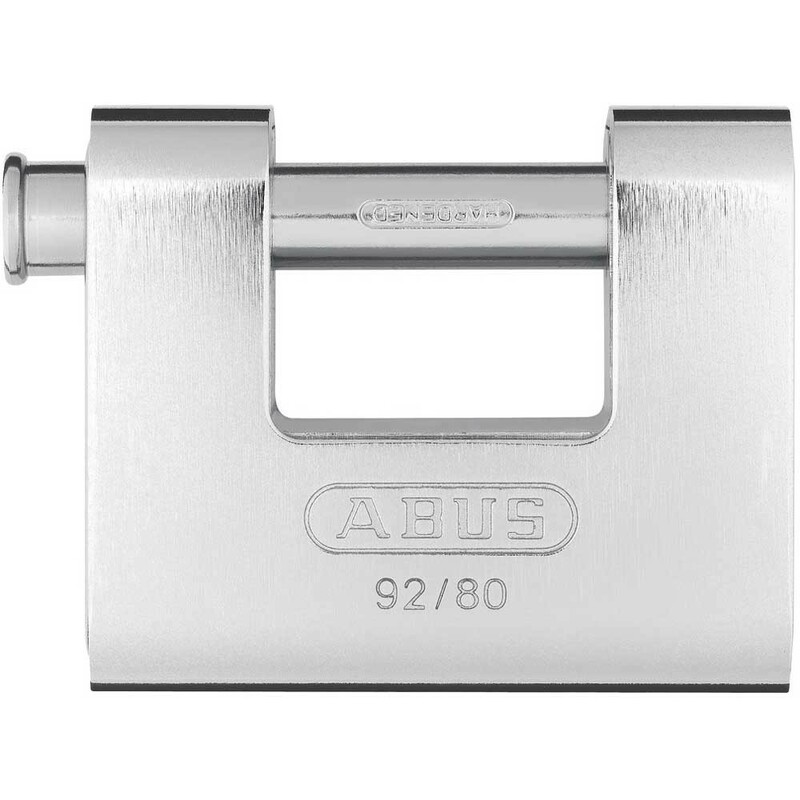 The Abus 92 Monoblock shutter padlocks have a solid brass body encased in hardened steel jacket and a through hardened steel alloy shackle which rotates when attacked. 5 Pin precision cylinder with anti-pick mushroom pins and rustfree components. A hardened steel pin protects the narrow side of the lock against sawing and the deadlock mechanism requires a key to lock. 'NanoProtect' Chrome Plating, Hardened steel & through hardened steel alloy shackles get the most effective protection available, where smallest nano particles close the smallest gaps found in the normal chrome plating 'making rusty shackles a thing of the past'. 1,000 hours salt bath test, the equivalent of 40 years in a harsh environment proves the durability of the new 'NanoProtect' process.